The western coast of the island offers the most beautiful sea but with beaches very difficult to reach from the mainland. The ones listed here below, a part from the relict beach, are the only fiords easily reachable. 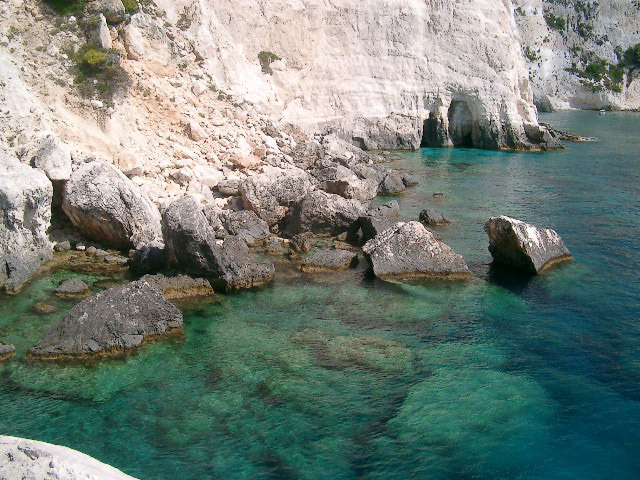 Plakaki To have a swim in this amazing place you have first to reach Agalas mountain village. As you'll be in Agalas you just have to follow the sign and new road will take you down to a large parking. Here you have a great view over the sea and a small path through the rocks will permit you to go down to the sea where flat stones are ideal for relax. As you come down just follow your left hand as from here is more easy to dive into this marvelous sea. We suggest you not to take a lot of things with you along the path and to watch out children as the path is safe but very steep. As you'll go back you will notice a sign on the road for Andronios' wells. 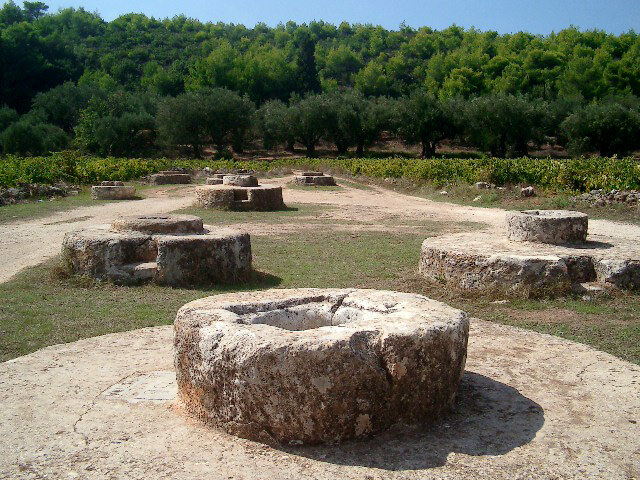 We suggest visiting them as they're ancient and still used by local people. Porto Roxa Porto Roxa, easily reachable by car from the village of Agios Leon, and from Porto Limnionas, is located half way from the western coast of the island. It is a small fiord that offers the possibility to swim in a wonderful sea. From this bay, a landing-place only for small fishing boat, getting down a few steps carved in the rock, you reach a real fiord stupefying the visitor for the clearness and colours of the waters. 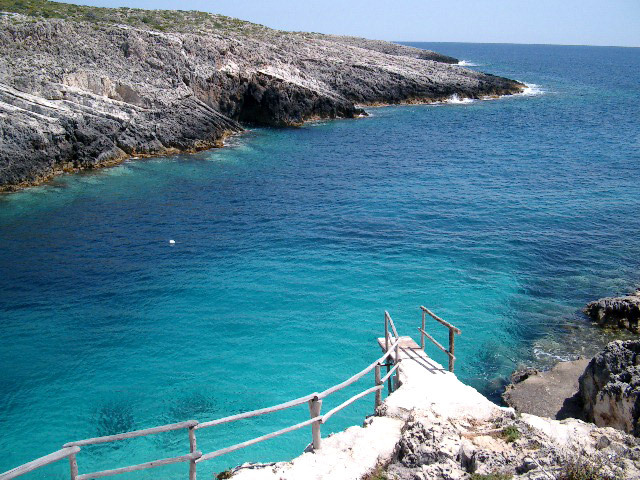 It is possible to reach the water faster diving from a spring board four metres above the sea. There is no beach but there are terraces with loungers and umbrellas. Porto Limniona Located half way from the western coast of the island, it is easily reachable by car from the village of Agios Leon. More than a beach it is a fiord that for its amazing beauty deserves a special place in our top 10 list, where it has been described in detail. 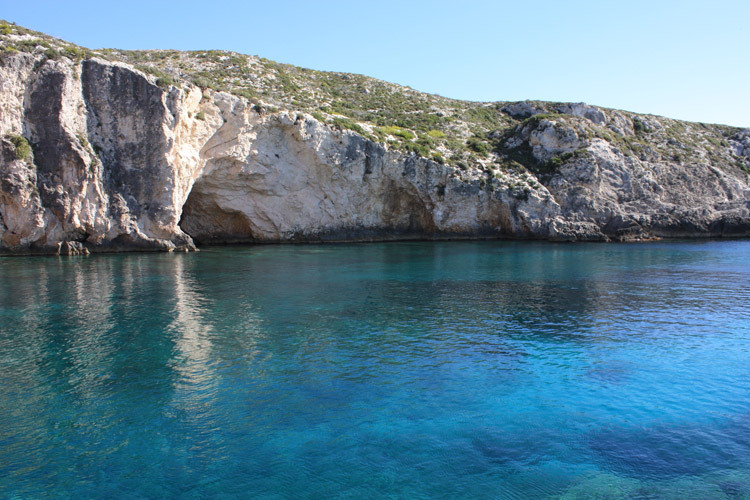 Porto Stenitis Porto Stenitis is a big fiord with clear water and caves along the coast. It's possible to reach it from Maries town with an asphalted road that became a dirt road in the last stretch. 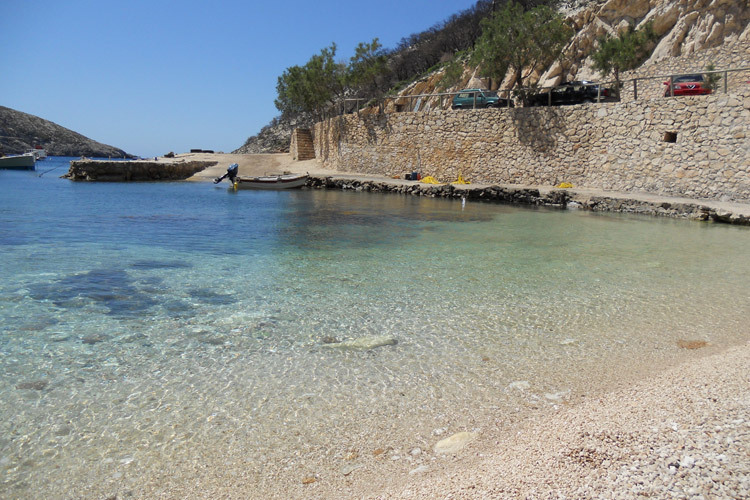 You will not find a beach or tourist facilities, it's a calm bay with the best water of the island. It's a fiord just to go for a swim and not to stay for all day along. 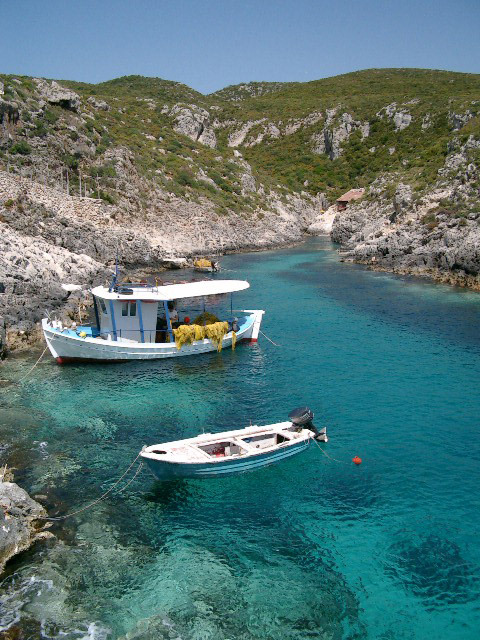 Porto Stenitis is a docking only for small fishing boat and a place where you have to use your mask and fins. 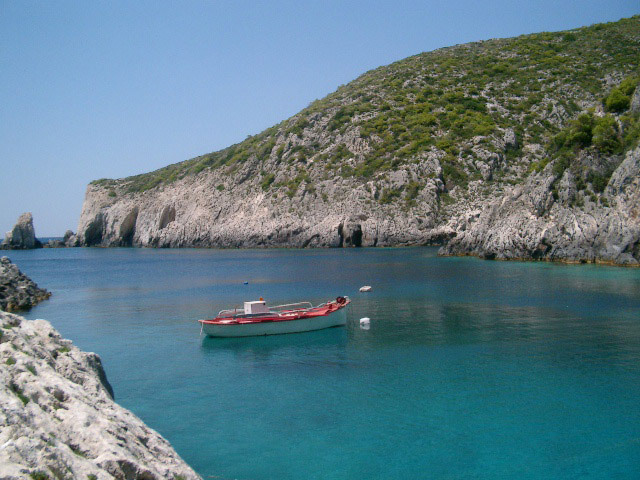 Porto Vromi It is a beautiful fiord placed in the north of the island with two bays reachable by two different roads. 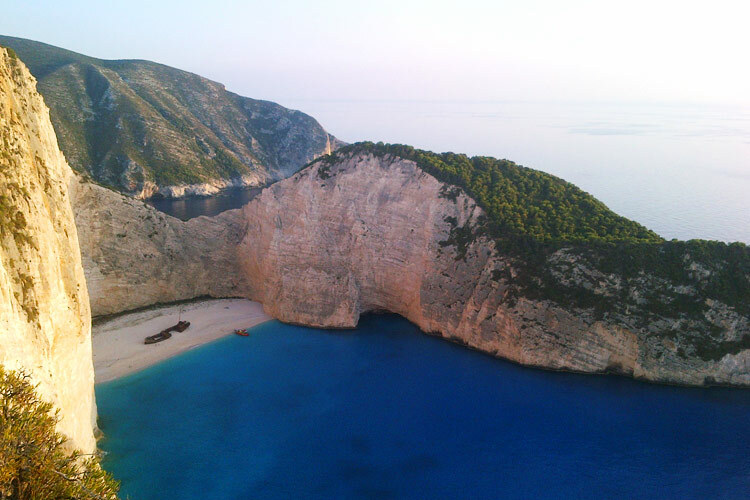 From both bays ferry boats leave to visit the beach of Navagio and the cliff rich of caves and small beaches. In both bays there is a small beach but without facilities like sunbeds or umbrellas. 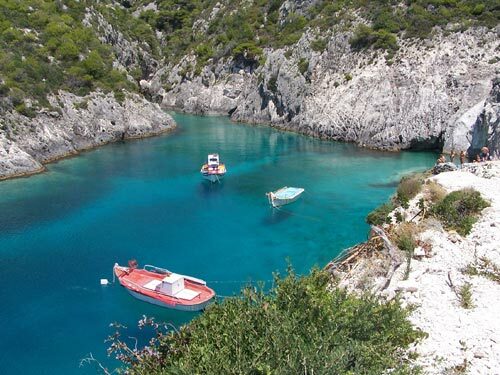 It is also possible to rent pedalo to visit the near caves. 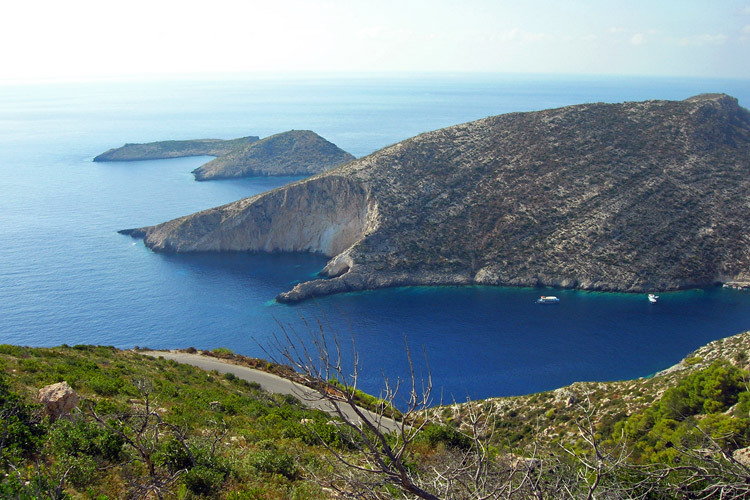 Typical of Porto Vromi is the small front deserted island. Navagio The beach with the relict lying on the white sand is the most popular and photographed of entire Greece. 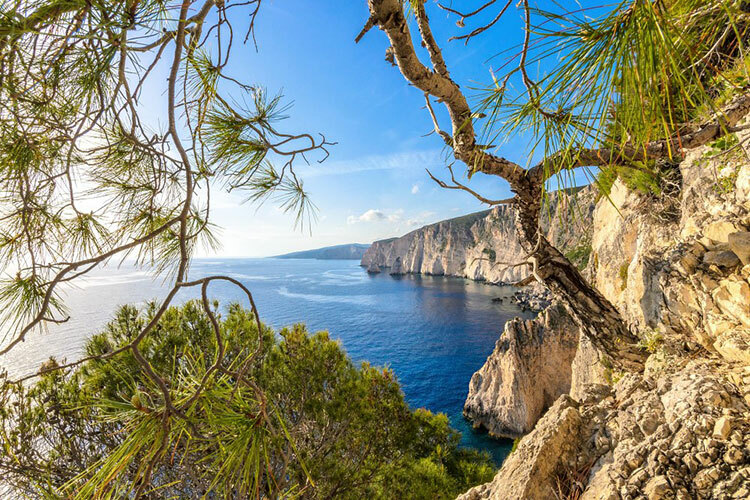 This beach is enchanting both arriving by caique and watching it from the top; for this reason it is the first of the top 10 most beautiful places of Zakynthos' island.